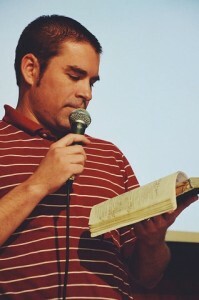 Paul D. Weaver, originally hailing from Columbus, IN is the Director as well as a Professor of Bible and Theology at the Word of Life Bible Institute in Tóalmás, Hungary. He is a graduate of Appalachian Bible College (B.A., Theology), Dallas Theological Seminary (Th.M., Bible Exposition) and is currently working on his doctorate at Baptist Bible Seminary (Ph.D., Biblical Studies). Prior to becoming the Director, he served 4 years as the Academic Dean. He has taught Bible and Theology for 12 years. He has contributed articles to the “Popular Encyclopedia of Church History” as well as “The Journal of Ministry and Theology.” He is the author of “Introducing the Old Testament Books,” “Introducing the New Testament Books,” and is presently editor for an upcoming book in the same series: “Surveying the New Testament Books,” which is to be released in 2016. Paul is passionate about providing high quality Bible study resources at an affordable price. Most of my books have developed out of my PhD studies and classroom teaching content.